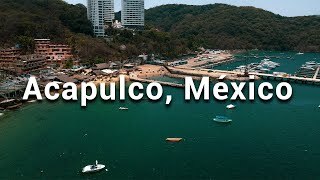 Acapulco de Juarez commonly known as Acapulco is the Mexico’s largest beach and largest city in the state. In a southern bay of Mexico City and has been Mexico’s oldest parts. 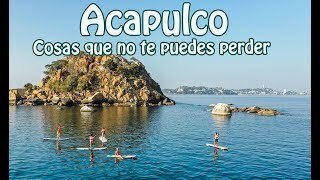 There is also a Hollywood movie Made on this city “Fun in Acapulco” in 1963. CAPILLADELA PAZ: Translated as chapel of peace, this is a beautiful little chapel in the hills of Acapulco. You will get a feeling of secreting with a gorgeous panoramic view of Acapulco bay. LA QUEBRADA: This place is famous for cliff driving and people come from far away to see that. If you are not a fun of stunt then you can enjoy the food and drink of lovely restaurants there with beautiful scenic views of this location. PUNTA DIAMANTE: This is one of the best beaches in Mexico because of its beautiful location. 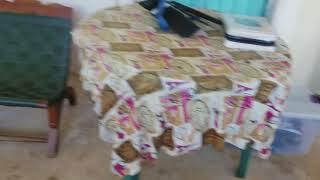 ATV’s vendors selling clothes and jewelleries and also provide excellent services. MURAL DIEGO RIVER: This mural is one of the most important culture artefacts. Diego did these murals at the house of the winds owned by patron and lover. BARRA VIEJA BEACH: “Barra Vieja Beach” is one of the most traditional sites that exist in Acapuleo. It has the most traditional local sea food restaurants. ISIA LA ROQUETA: A beautiful glass bottom boat will take you around and highlight some important landmarks. There are many activities like fishing which give you relax. RESTAURANT LA CONCHA ACAPULCO: The delicious place is from walking distance of the street of Acapuleo, the service is excellent. PAITITI DEL MAR RESTAURANT: Lovely atmosphere outdoor with so many plants that feel like indoor. Delicious salsa with varieties of foods is serving. LA FINCA ACAPULCO: Outstanding service with excellent surrounding. They serve best lobster, octopus and drunken shrimp. MARISOS EL SIRENTIO: Nice service and good food quality. Great place for having sea food, excellent taste and very good price.